This privacy notice sets out how Richmond Therapy (Michelle Lacy) uses and protects any information that you give me when you visit this website or when you contact me by other means and the lawful basis under the Data Protection Act 1998 and the General Data Protection Regulations (‘GDPR’ enacted on May 25th 2018) that permits me to do so. I am committed to ensuring that your privacy is protected and will seek your explicit written consent to hold personal data about you, specifically and only for the purposes of providing counselling/therapy to you. I may also analyse data you provide me with for the purposes of providing the best possible service to you. If you make contact via this website or by phone you will be asked to provide certain information by which you can be identified (see below). You can be assured that all this information is held securely and will only be used in accordance with data protection principles, my data protection and confidentiality policies and ethical principles (as contained in the British Association for Counsellors and Psychotherapists Ethical Framework for the Counselling Professions: July 2016). The basis on which I hold or share information about you is outlined below and also the limits around confidentiality. You have the right of access to information I hold about you and to amend or ask for deletion of information that may not be accurate or correct. Please contact me if you wish to view the data I hold about you. I will not hold your data for longer than is deemed necessary for the purposes of counselling/therapy and following best practice and legal guidance. If you wish to know how long I hold data or notes for please contact me. By visiting my website you are agreeing to the contents of this Privacy Notice. 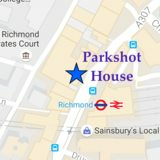 For the purpose of the Data Protection Act 1998 and the GDPR, the data controller is Michelle Lacy, Richmond Therapy, Parkshot House, 5 Kew Road, Richmond, Surrey, TW9 2PR. You may also contact me at the email address at the bottom of this page. Whether or not you become a client of my therapy service I will use your personal data for the purposes of assessing your therapeutic needs. I collect the majority of this information during first contact and the initial consultation. I will advise you if any of this data is optional. The lawful basis and purpose of holding this data is to ensure that I can meet the terms of providing a suitable and profession counselling/therapy service to you. I will also use your personal data to meet any legal obligations placed upon me – for instance when you exercise your rights to see what data I hold under data protection law or in order to meet any legal compliance placed on us; or occasions where I may be obliged to disclose information related to safeguarding children, young people and adults at risk. Your written consent will be requested at the initial consultation for the potential need to disclosure information to other bodies, where either required by law or where a client’s risk of self-harm or harm to others is deemed to require it. The data that I collect from you is not transferred outside the European Economic Area (“EEA”). I will take all steps reasonably necessary to ensure that your data is treated securely and in accordance with this privacy notice and my data protection and confidentiality policies. All information you provide to me is stored securely and encrypted. Any payment transactions via your bank will only be identified by an anonymised client reference and no other information will be required or shared. Please note, the transmission of information via the internet cannot be completely secure. I have in place security measures to protect your personal data, but I cannot guarantee the security of your data transmitted to my site, particularly by email; any transmission is at your own risk. Once I have received your information, I will use my own policies and procedures as far as is reasonably possible to prevent unauthorised access. I am committed to making sure your information is secure and have in place appropriate policies and procedures to prevent unauthorised access or disclosure. There are suitable and appropriate physical and electronic procedures to safeguard and secure the information I collect online. My website may contain links to other websites that may be of interest. However, I have no control over other websites. Therefore, I cannot be responsible for the protection and privacy of any information which you provide whilst visiting such sites and such sites are not governed by this privacy statement. You should exercise caution and look at their privacy statements. I do not share your personal information with anyone else unless in pursuit of counselling/therapy on your behalf and only then if I have your permission to do so. In exceptional circumstances, I may be required by law or professional responsibility to disclose certain information. I would discuss this with you first, wherever possible, but if you do not give consent I may still be required to disclose information. This relates to situations where you may be at risk of harm, causing harm to others, the safeguarding of children, young people and adults at risk, acts of terrorism or required under a legal obligation. You have the right of access to the personal information which I hold about you under the Data Protection Act 1998 and the GDPR and also the right of access to your client notes. You can contact me if you wish to examine what I hold and believe that any information I am holding on you is incorrect or incomplete. Steps will be taken to correct any incorrect information that I hold. There is no charge to access this information and it will be provided to you within one week unless circumstances require longer, but this will not exceed a month in any event.